Enter TODAY and every day in December to with a $4,000+ Luxury Sofa Bed from American Leather! Since no home should be without sleeping accommodations for out-of-town visitors, we’ve teamed up with our friends at American Leather for this month’s Bob Vila Luxury Sofa Bed Give-Away. Enter today to be eligible to win a Kalyn Comfort Sleeper and turn any room into the ultimate guest room with style and comfort. Starting today and every day through Thursday, January 2, 2014 (11:59 a.m.), you can enter to win the Kalyn Comfort Sleeper, valued at $4,215, and discover for yourself why American Leather’s comfort sleepers have been voted “Best Value” by Consumer’s Digest. If you thought that a sleeper couldn’t be as stylish and eye-catching as it is comfortable, think again. With its easy-going good looks, the Kalyn Comfort Sleeper from American Leather is distinguished by loose seat and back cushions and low half-arches on the arms. It comes upholstered in a Flint-colored, SuedeLife material—a pet- and kid-friendly 100% polyester micro fiber covering—and winner’s choice of espresso-, walnut- or acorn-finished legs. With no bars or springs, 5 inches of plush high density foam, and a premier-sized queen mattress, the Tiffany 24/7 platform system delivers amazing comfort both day and night. Your overnight guests will be looking for an extended stay—guaranteed! 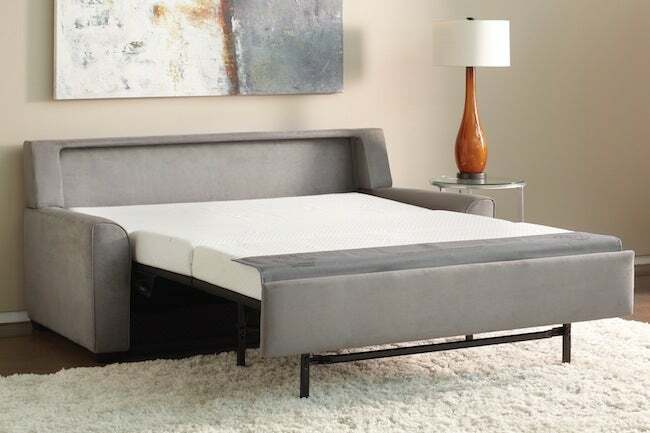 So ENTER DAILY through Thursday, January 2nd (11:59 a.m. EST) to increase your chances of winning this top of the line sleeper during Bob Vila’s Luxury Sofa Bed Give-Away! 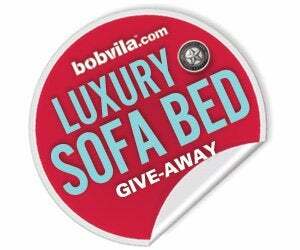 The “Bob Vila’s Luxury Sofa Bed Give-Away” is open only to permanent legal U.S. residents of the 48 contiguous states and the District of Columbia; residents of Alaska and Hawaii are not eligible. Void in all other geographic locations. No purchase necessary. Void where prohibited. Contest Period runs from 12:00 p.m. (EST) Monday, December 2nd, 2013 through 11:59 a.m. (EST) Thursday, January 2nd, 2014. One entry per household per day on BobVila.com. Alternative means of entry for Drawing is available by faxing your name and address to 508-437-8486 during the applicable Entry Period. Odds of winning depend on the number of eligible entries received. See Official Rules.